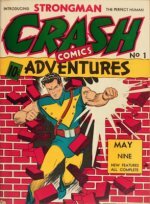 I am excited about the comic book industry and have been for four decades. That makes me know a few things about the hobby. There is so much that I can cover that it would be difficult to do it in just one sitting. Therefore; let’s first talk about something that really interests me (and maybe you? ): the beginning realities of being a buyer/seller in the comic book industry. If you’re going to pursue this route, we might as well call you a vendor. Before you know it, you’ll be looking at all sorts of different ways to make some money at this hobby. Indeed, it's fascinating, slightly lucrative, a chance to meet fellow enthusiasts, and sometimes challenging and fun being a buyer/seller. 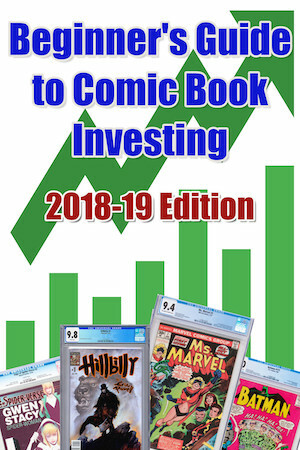 You don’t want to lose money and comics have been shown (compared to some other things) to be a slightly lucrative hobby and solid investment if you know what you’re doing. Some refer to it as the “poor man’s hobby” because anyone can get in at any level. You can buy/sell low end stuff or buy/sell the big books (if you have the money). But there is a place for anyone if you want in. If you’re going to be a vendor, you’ll soon be a dealer. As each individual dealer is different, it is important to remember that we are a product of our environment. What does that mean? It means each dealer (which is really what we are if we are selling on a regular basis) has his own niche set up. For example, I collect certain things so then the doubles wind up in my sales bins. Yes, sometimes I buy things just to flip but other times I avoid things because I just don't know much about them. This last statement is really, really important. As a vendor, I find it extremely helpful to enjoy the comics that you are actually selling. It can be challenging to sell something you haven't read. How do you tell the buyer it's actually good? OK. Let's back up a bit. I'm predominantly a comic con/flea market/small convention seller. (yes, I did do ebay). As such, I have to gear my stock towards that market. As I mentioned... everyone fits somewhere and does something different - and that's great! There’s lots of ways to go: ebay, auction houses, private sales, and the list goes on. Let's talk about "hot" stock first. Yes, I did buy the BIG BIG overstreet guide. I bought this because my eyesight is just not what it used to be. Another really important thing to know - prices for about 95% of the stuff in there haven't changed. I can go back 10 years and some stuff is still priced the same. In fact, I could do an in depth analysis of this and go genre by genre, title by title...but that would be a separate article altogether. Let’s stay focused! 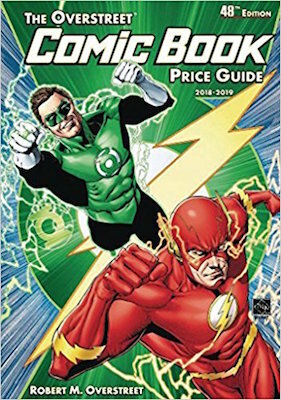 Click to order the 48th edition of the Overstreet Comic Book Price Guide from Amazon. As an Amazon Associate I earn from qualifying purchases. 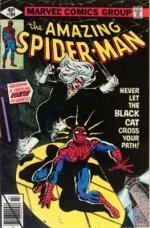 Why Should You Care About a New Edition of the Overstreet Comic Book Price Guide? Is Overstreet worth buying every year? Absolutely. Here's why. from the Tips in Overstreet! I have made SO MUCH MONEY following select advice from these pages. I have paid for my Overstreet issues hundreds of times over. Not sure how to do this yourself? Sign up to my newsletter and I will guide you through the process. That being said, the Overstreet is a great reference for me. Most of the stuff I buy/sell will almost always fall into the non-hot category. Now, hot comic books - that's tough. That's the stuff that keeps me at the computer researching constantly. And things really change fast on hot stuff. 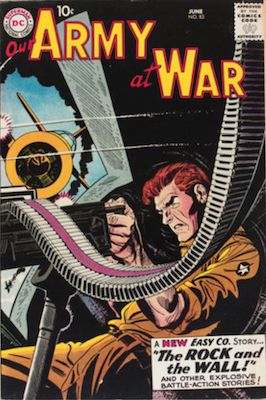 I usually try and use ebay or some on-line comic guide to help me… with completed ebay sales probably being the best (but you do need a cross section of sales and that takes research work). Sometimes I get lazy and just use the on-line guides but even those just can't keep up. The on line guides are databases and some human has to update them. Humans can't keep up. So, yeah, I've been caught a few times on that having given some nice books away for less than their real current value. I always have a plethora of customers lined up for the 'hot stuff". Sometimes, I don’t even know the book is “hot”. Really tough to keep up. But getting back to the 95 percent stock that never changes - this is really where us dealers live almost exclusively. We spend more time trying to move this overstock than anything else. Hauling boxes to whatever function, trying to balance the table costs/travel expenses with the perceived sales, hoping to move the "dead stock", and etc. This is not the hot stock. This is like War comics. I carry a long box of this everywhere. I can use the Overstreet to price these easily since nothing really changes with this genre – unless something were to happen? Like a movie? OOO…please make a Sgt. Rock movie! But not much has changed and the prices haven’t changed in that box since the last century. And I need to find create ways to move some of this type of stock. I try and keep the prices really low (like $1, $2 or $3) and that helps. For example, more stuff that barely changes (non hot stuff): Archie and all kids books, Classics, Gold key and other minor companies including all the independents, all non visible characters from any company. So, yeah, that list is huge and represents most of what us vendors carry from comic con to comic con. Every now and then I just have to go through that non hot stuff and try and liquidate the stock before it overwhelms me. That is the dealers biggest challenge. 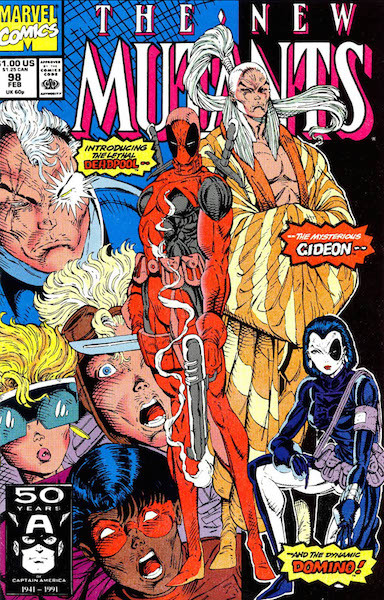 We can all sell New Mutants 98 (NM 98) all day. Easy. Try selling NM 33 all day. or 36? 37? 38? 39? You get the idea. OMG. Imagine scooping 20 copies of NM 11. How in the heck do you get rid of that? Us dealers have these things called discount boxes. I currently am down to 3 long of $1/$2 mix that I bring to shows. I blow these out (currently) at $1 each or 13 for $10 and then the $2 books go for $2 each and 3 for $5. I don't use the backing boards anymore on $1 books. A backing board currently costs about 15 cents so that cuts into the bottom line. See. This is the real challenge! I have a short box of hot stuff I bring to every show. I have skids full of stuff of everything else. To the new guy (the guy just getting into the hobby and trying to do what we do) this all must seem very confusing and they would probably shy away from it. And I wouldn't blame them one bit. 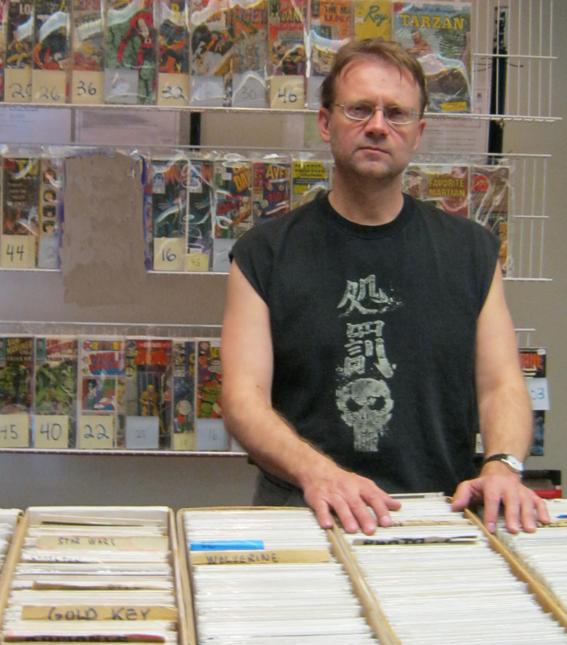 Why on earth would you collect rooms full of comics? Anybody can sell a copy of New Mutants 98. But could you sell multiple copies of New Mutants 38? Well, when you buy a bulk collection very few guys (and mostly the industry is guys! but we do like seeing girls…yes, that's ok) are willing to sell you NM 98 and not have you take their entire runs of X-man, X-Men, PPSS, Web, plus anything else they speculated on. Yup. You want that 98? Buy the whole collection. Then you get to the con/show and everyone wants the 98 and nobody wants the other 800 books you have that you had to buy to get the hot book. The madness. The lunacy of it all. Like a Mozart opera. This is what us dealers do – we get collections and rip them apart. There are a lot of techniques to make money. What I do is probably different from someone else; so, my information to you is simply just one man’s way of running his mini hobby into a business. Just remember to learn everything from everyone and then become your own professional at what you do. I have a lot of different things I do but it would take another article to tell you that. We comic dealers sit around drinking beer on many occasions discussing things and trying to figure things out. OK. I’d drink beer anyways but it's just more fun to talk comics and drink beer. This is why I try and sell what I like to read. I want to enjoy the hobby and not just make a buck. I have never ever received an Iron Man 55 in trade/collection yet! Seems to mysteriously be absent from those Iron man collections I got. Hmmm...? Yeah, right...you've never even heard of Thanos. LOL. Too funny. OK. Look. You held the book back. Fine. Now I have to sell the rest. So, I gotta pay you this much for it. If you’re a dealer, you either buy the rest of the collection or you don’t. Whatever you do, you can’t push a guy to give up his keys…yet it is exactly those books that you need the most. Buying books is a complete art (and another article) all to itself. Let’s leave that for now. Let’s back up a bit. I recently discovered that the Library now carries old issues of the Overstreet. So now you can check out the book (probably not the most recent one yet) and then read the market report. I love reading the market report. I can generally only do it once because there is just so much information in there. I buy an Overstreet every 5 years - just because I’m missing too many entries by that point in time. Those advisors do this market analysis every day. They see everything. Why not read it and absorb what you can. Every vendor/dealer/buyer/seller has a unique story all their own and two people can look at the same hobby in a different way. Learn from that. Appreciate the information and use it. Vendors know their stuff so visit them, buy/sell with them, and learn from them. Enjoy the hobby. And one more thing about the library - the library also has graphic novels. How great is that? Get down there and read some of this stuff. Want to know why a book is hot? Read the book! If you read something and you like it…now you’ve got it! Hey…here’s why the book is hot! I learn from everyone. I appreciate their emails. I appreciate any talks with anyone who is willing to chat. The more, the better. I try and work with people rather than hoard information. I do hoard books. But everyone hoards books – come on, you’re not really going to sell that nice (Captain Carrot? ok… Batman) book it took you 10 years to obtain? You’ll want to own it for bit. You know it will go up in value. You’ll wait. I recently told a guy to get 4 or 5 of a hot book... then you won't be so broken up if you need to make a trade/sale. Works for me. I just find it interesting that the market report mentions stuff is selling for them when it is not for me? My Mini market report for me: kids books and funny animals are the worst for me - the market is nearly dead with 1950's books a real challenge to even just get interest in. I haven't sold a Tom and Jerry since I don't know when? And I don't think there are any 'hot' issues of Daffy Duck? are there? Daffy Duck, year one? LOL. But look in the Overstreet and there are those big prices. Meanwhile, I don’t know how to discount these any further? Yeah, I’ve sold some of these for less than a $1. Let’s stop here today. I can talk about all sorts of things and I’ll wait to hear back from anyone if they want my insight. How to buy collections so you don’t get killed. Yes, buy low sell high. Great – we’re done. Class dismissed. Good luck with that trying to buy a nice collection for low bucks. Lots to learn here and a lot of people skills you’ll need as well. You need to be fair and honesty actually works quite well. And how long is it going to take to sell that collection you don’t want but are willing to buy? Oh yeah, this is a big article. How to not panic. You don’t need to panic whether buying or selling. Stay within your limits. But be sensible. You have to stay focused on your objectives. Set your guidelines. Break them only if it makes sense. How to stop yourself. You just can’t focus on this hobby and forget everything else in your life. It’s ok to put things on the back burner once in a while. Be a collector. And be a reader. Enjoy the hobby for the reading part. Don’t just buy/sell and never read anything. READ! This is one of the only hobbies where you can really enjoy what you just bought. Art goes up on the wall. Coins you put in plastic…and that’s it. What do people with plate collections do? Hmmm…another burning question for another day. I'll stop now. I feel a beer calling me.